John Rood was born in Athens, Ohio in 1901. He left school at age 12 to help support his widowed mother, but continued to learn and teach himself in music, literature and writing. After securing a job as an office boy, John was able to save enough money to send himself to high school. He studied in various subjects and was able to graduate in one year. At the age of seventeen he had the accidental acquaintance of a man who changed the whole course of his life, Murray Sheehan, then head of the Department of Journalism at the University of Arkansas. In 1927, when Rood was 25, Murray introduced him to a wealthy family in Washington, who immediately secured him as a private secretary and travel companion on a trip to Europe. This is where he was first exposed to the avant-garde of the day, met the likes of Gertrude Stein, Ernest Hemingway and witnessed the new rise of surrealism (e.d. Schneider, Bruno; John Rood’s Sculpture, University of Minnesota Press, 1958). Rood’s artistic and literary senses continued to develop after returning to the States and culminated in the periodical, Manuscript, which he edited with then wife Mary Lewland. 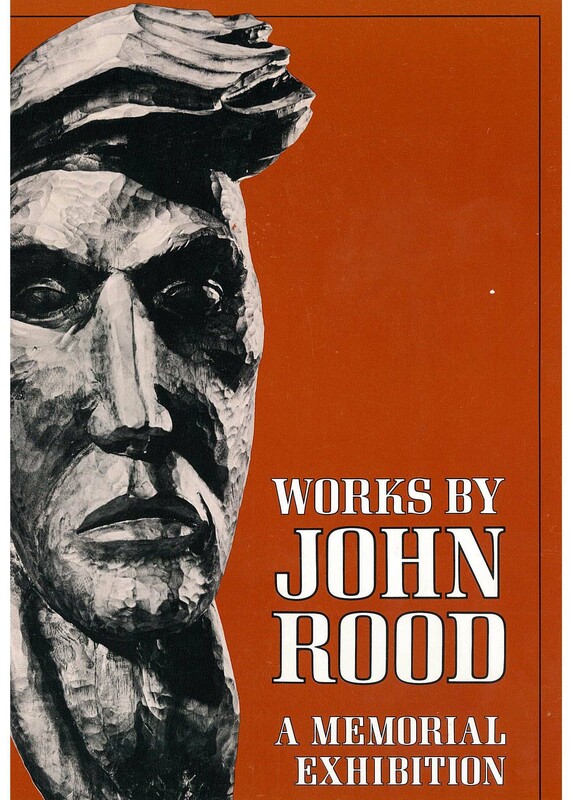 In 1933 Rood began sculpting and investing more time in his craft and in 1936 the periodical was abandoned. In the Spring of 1937 Rood had his first one man show in New York at the Argent Gallery, where he gained favorable reviews from the New York Times art critic, Howard Devree. 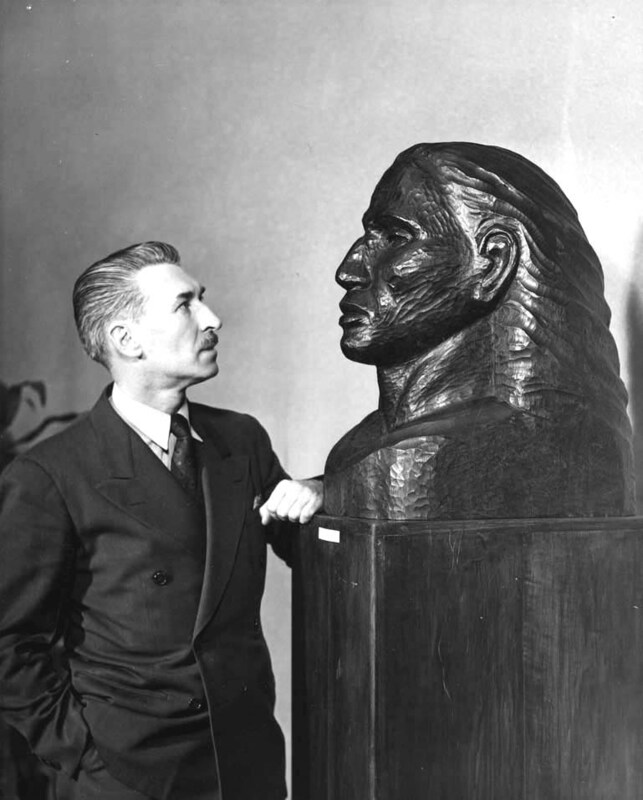 In 1944 Rood received a telegram from Laurence Schmeckebier, head of the Fine Arts Department at the University of Minnesota asking him if he were interested in joining staff to teach sculpture and related subjects. He accepted immediately and despite his wife’s family’s wishes, moved to Minneapolis alone. His principle medium was wood but in the late forties he took up stone carving, experimenting with marble and alabaster. During this period Rood and Lewland divorced and he married Dorothy Bridgman Atkinson in 1948. John and Dorothy would go on to establish the Rood Sculpture Collection to provide funds to strengthen the Arts at the University of Minnesota. Rood’s interests moved to bronze and metal, and he began utilizing welding tools. He was promoted to Professor in 1957, and expressed a continued interest in religious subject matter with many exercises in simplification, particularly of animal forms (e.d. Susan Brown; Works By John Rood, A Memorial Exhibition, University of Minnesota Press 1974). In June 1964 The John Rood Sculpture 42-62 exhibition was held at the University Gallery to commemorate Rood’s departure from teaching and recent gifts to the University. Exhibited in gallery 307 of Northrop auditorium were the display of twelve sculptures in wood, stone, and metal, which represents the entire range of Rood’s work from 1942-1962. After leaving the University Rood had his first exhibitions in Europe at Milan and Rome in 1965. This later phase of his work included “structachromes” of wrought iron and stained glass and, in the 1970s, painted wood constructions (e.d. Susan Brown; Works By John Rood, A Memorial Exhibition, University of Minnesota Press 1974). Rood returned to Minneapolis in the early seventies where he died in 1974. The compulsion to make things, rarely physically useful though occasionally so, has been with me as long as I can remember. This compulsion in time, gave rise to a necessity as real as that for food and drink. A love and respect for materials – wood, stone, metal – led quite naturally to the creation of art. Art for me has become a kind of religion, believing as I do that we should leave the world a better place for having lived in it. Also the knowledge that I am part of the endless metamorphic chain – animal matter becoming dusk again, and dust nourishing plants to be eaten and become a part of the animal world including man himself – has cheered me since it makes clear that I am brother not only to all other people, but to everything else in the world: rocks, trees, mountains – everything! As I grow older life becomes more enjoyable, in spite of those physical pains to which we all are heir; enjoyable in that it presents more facets of understanding, so that situations which might bring tears to a youngster bring instead a wondrous sense of the comical, the humorous. Nothing matters quite so much as it did when young. Most of Rood’s prolific career was spent in Minneapolis, and examples of his work are abundant in the Twin Cities area. Many of his works reside in the Weisman’s permanent collection and an inventory of his papers can be found at Syracuse University. Katie Covey is an Administrator and Special Projects Manager at the Weisman Art Museum.